What can online educators learn from games? In reality, it’s a lot more than you might think. This 3-part series will demonstrate how reality programming has played an important role in traditional fiction, interactive games and television for decades. From books to video games to TV shows, blurring the line between the virtual and real worlds has always resulted in increased user engagement. In the world of online education, survival is rooted in user adoption and your content’s ability to get it fast and keep it for as long as possible. Involving the end user in the content has always worked in traditional media… why not in online education too? 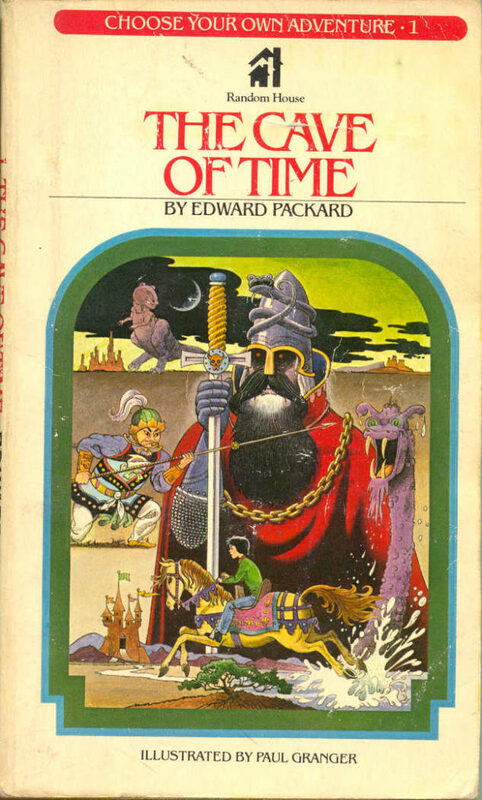 The Cave of Time by Edward Packard started the Choose Your Own Adventure series, first published back in 1979. This revolutionary title introduced a fascinating new category of fiction to kids of all ages. Here\’s how it went down… you would read a couple of pages, then be asked to make a choice and instructed to turn to a specific page based on your decision. These books were examples of the earliest form of interactive fiction where even a paper novel could engage a user into participation. The reader becomes part of the story, making decisions for the protagonist throughout and driving the narrative to your liking. Kicking off the role-play genre, Dungeons & Dragons captivated an older audience while blurring the line between story and reality to a whole other level. 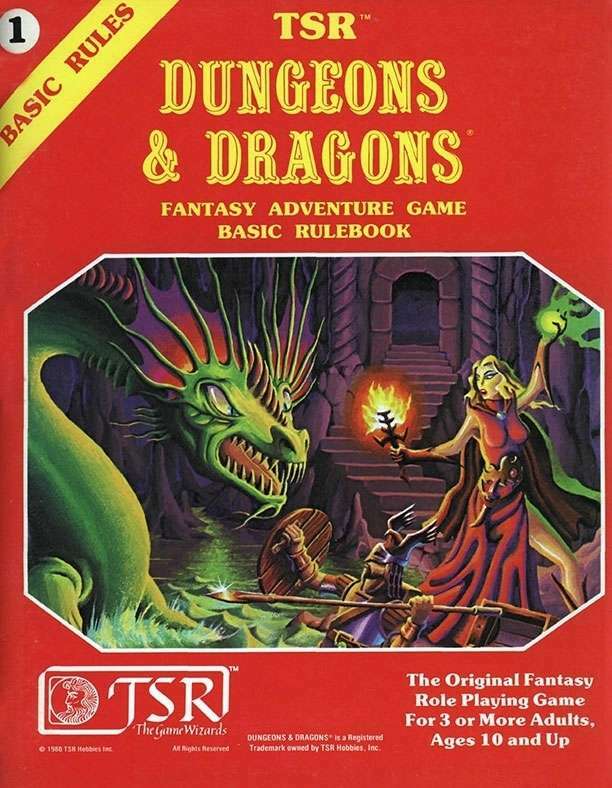 Led by a Dungeon Master, players would explore intricately designed fantasy worlds while battling strange monsters and collecting treasures and powers along the way. Dungeons & Dragons has taken on many new forms over the past 40+ years, but it is still played today and is even experiencing a bit of a revival with present day college students re-engaged as Dungeon Masters and characters exploring strange fantasy worlds. 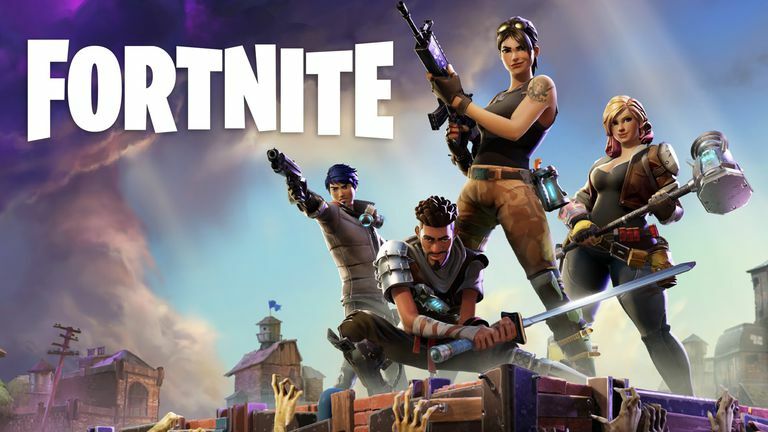 Sure, they’ve tried to replace this classic role play game with computer versions and all sorts of modifications, but the tried and true format is still engaging users decades later. And even while Choose Your Own Adventure books and D&D games were amazing kids and young adults, a new medium entirely was growing around the same time… Interactive Fiction computer games. 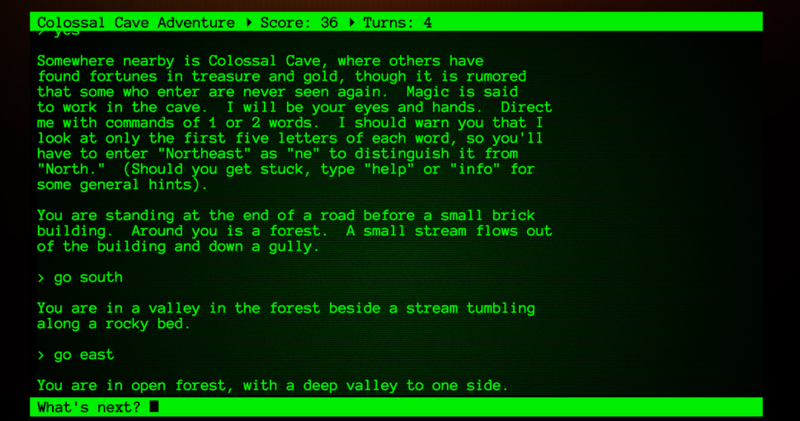 Colossal Cave Adventure was created by Will Crowther and released in 1976 as essentially a computer-based text role play game. An experienced caver in the real world, Crowther invented this interactive adventure to connect with his own daughters. Little did he know, that an entire first-person video game industry would follow in the decades to come and usher in an all new world of computer gaming that would ultimately give way to many of the most successful video game franchises of all time. Colossal Cave Adventure ultimately became Microsoft Adventure and was the only game included on the original IBM PC release. It led the way for a completely new genre of computer gaming, followed by popular 80’s interactive fiction titles from Infocom like Zork, Trinity and Deadline. How many of you recall staring at a black screen with glowing green text for hours on end taunted by the daunting > and blinking _ ? 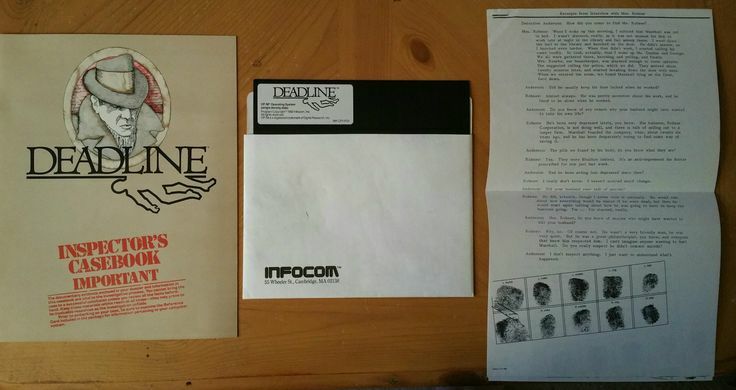 It was also Infocom who first solved the challenge of delivering more content than a simple floppy could hold and inadvertently spurned piracy with the introduction of what were called Feelies back in the day. These were real-world items included in the box with the software such as the Inspector’s Casebook in Deadline. Without these physical resources, the gameplay on the software was not completely usable to a player. Sounds like a familiar problem to every expert selling his or her knowledge online today, right? We all struggle with properly protecting our most valuable intellectual property once we begin offering it online. Delivering some of your knowledge in physical, supplemental resources could serve as the deterrent you have been looking for. 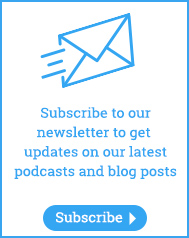 What real-world “feelies” can you package with your online content to defend against knowledge piracy? 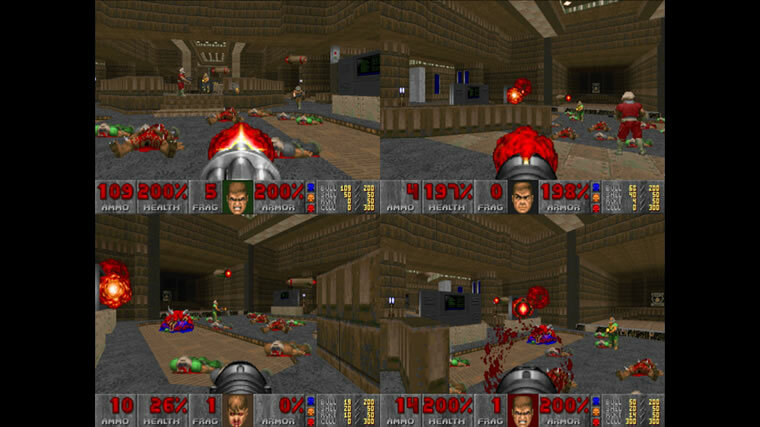 This genre was also the inspiration for a generation of first-person video game designers who took this text-based model to another level of immersion with the addition of 3D graphics and custom artwork facilitated by advancements in computer processing power, graphics engines and programming languages. Read the book “Masters of Doom” by David Kushner to learn more about this awesome evolution in gaming that spawned the super successful and long-running first-person shooter franchises Doom and Quake, creating an entirely new category of Real-Time Strategy or RTS games. Deathmatching was born here as a simple new feature in Doom, but evolved into one of today’s most successful gaming modes – Massively Multiplayer Online Games or MMOGs. Incorporate narrative storytelling into your content. 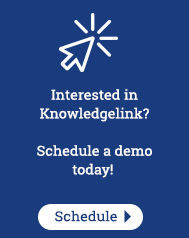 Allow end-user decision making to control the learning path. 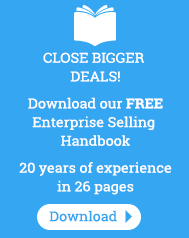 Merge real world items with virtual world content into one product. In the next article, we will dive into some history behind reality television and the lessons we educators can also learn from this other innovative evolution of a traditional media form.